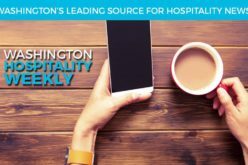 (OLYMPIA, WASH., APRIL 2, 2018) – Washington restaurants can now share tips with heart-of-the-house employees. A federal spending bill passed March 23 abolished a 2011 rule that prohibited tip pooling in all circumstances with non-customarily tipped employees. Now, employers are once again allowed the opportunity to expand tip pools and share the tips among a broader range of employees in states where tips are not recognized as wages. This change allows tip sharing among both customarily and non-customarily tipped employees, including dishwashers and cooks. The new legislation also makes it clear at the federal level that tips belong to the workers who receive them and that owners, managers and supervisors are prohibited from sharing in tip pools. Tips in Washington state have always been the property of employees. Case law and Washington’s new minimum wage law identifies tips and gratuities as the property of employees. Owners and managers are also legally prohibited from benefiting from tip pools. Anything that strengthens and clarifies these protections is welcome, said Anthony Anton, president and CEO of the Washington Hospitality Association. The Department of Labor issued a field bulletin on April 6, 2018, further clarifying the change. The association looks forward to receiving further guidance and clarification from the U.S. Department of Labor regarding the tip pool policy. For more information on the tip pooling rule or tip pooling laws, click here.